I am based in East Lancashire. I can cover areas around Skipton and Ilkley in Yorkshire, and Blackburn, Burnley, Rossendale, Preston, Chorley and Leyland in Lancashire. If you are unsure if I can come to your area please just ask. 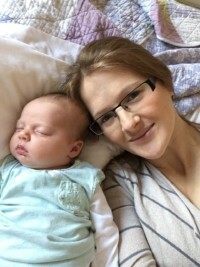 My name is Meg and I know that every woman deserves to have a truly positive experience as she takes her journey through pregnancy, birth and beyond. I am a Mum to two beautiful daughters who motivate me every day to strive for a society where women are given truly individualised care and treated with the utmost respect along every step to Motherhood. As I continue to be in awe of what women, their babies and their bodies are naturally capable of, training to support other Mums through their own pregnancy and birthing journey through HypnoBirthing felt like the obvious next step. I became a certified HypnoBirthing practitioner in 2015. I became increasingly aware that once their baby is born, despite the joy and elation of that tiny little bundle, women can be left feeling isolated, anxious, confused, pressured and unsupported. Who is there to nurture these Mothers after the visitors have gone and the congratulations cards are taken down? After the birth of my second daughter I made the decision to dedicate myself to empowering women and their families in the name of positive birth and early parenthood. I completed my doula training with Nurturing Birth and am currently a mentored birth and postnatal doula with Doula UK. From my own experience I realise how important it is to feel supported, informed and cared for by someone you trust and can feel comfortable with. I am committed to supporting women and their families in having an experience of pregnancy, birth and early parenthood that is satisfying, positive and free from fear and anxiety. Discovering the power of the traditional holistic and healing ritual of Closing the Bones was like finding the icing on the cake in terms of being able to offer a woman an opportunity to feel emotionally, physically and spiritually released. It is an honour to work with women who have given their all to birthing their children and now need the time and space to nurture themselves. I provide that time and space without judgement and with calm, peace and support.